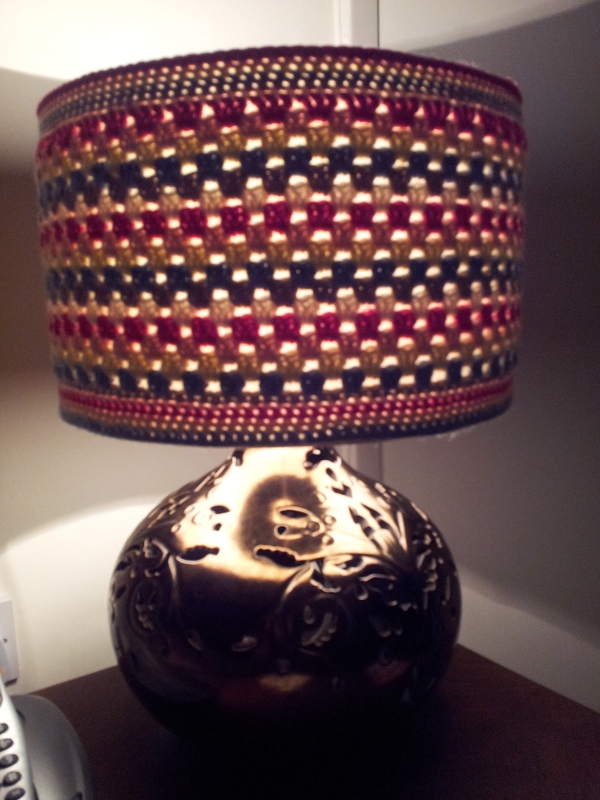 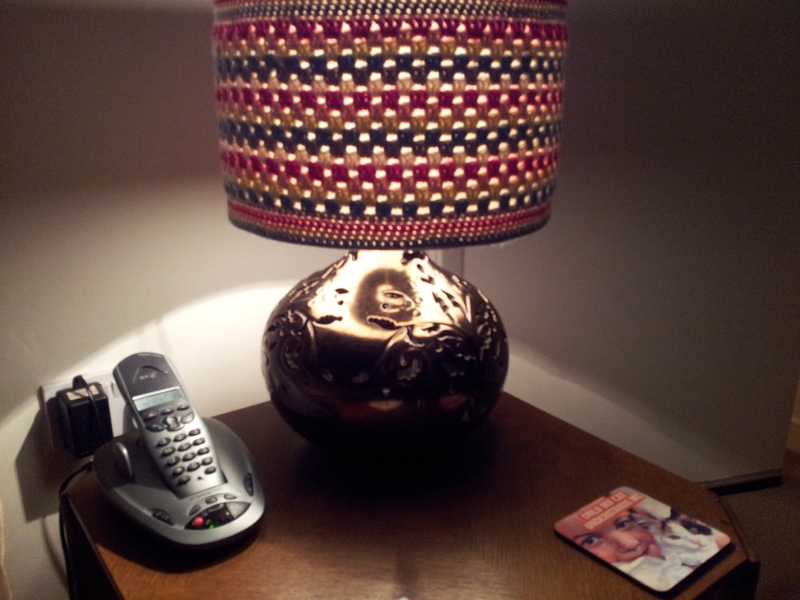 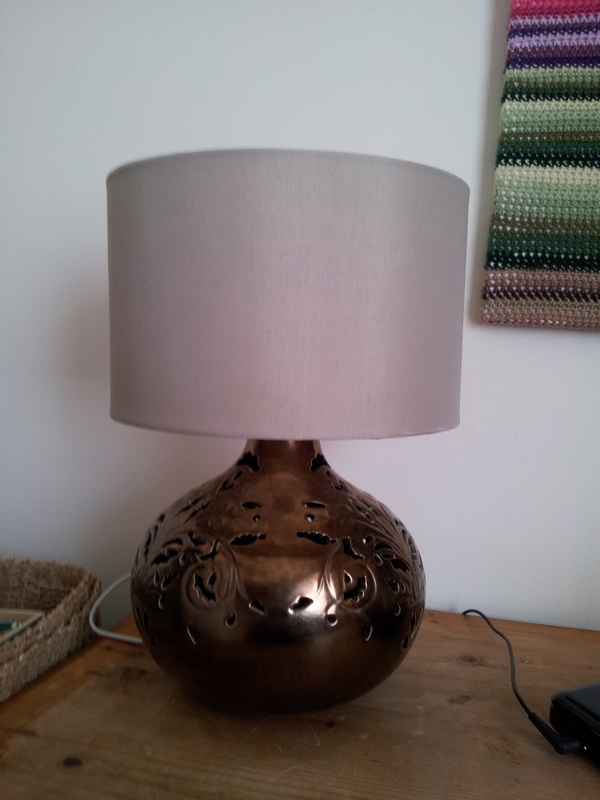 I had wanted to brighten up this old lamp shade for quite some time. 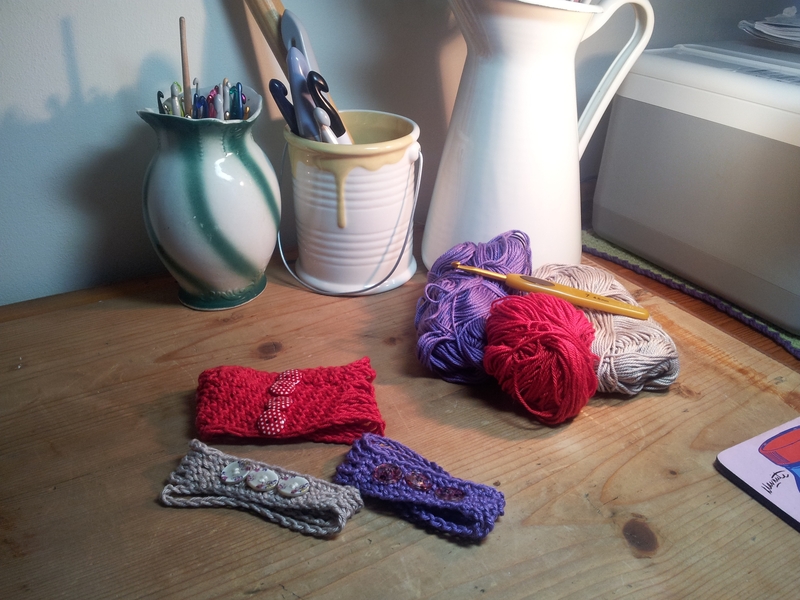 So I gathered my stash of Sublime extra fine merino wool Double Knit and hooking began. 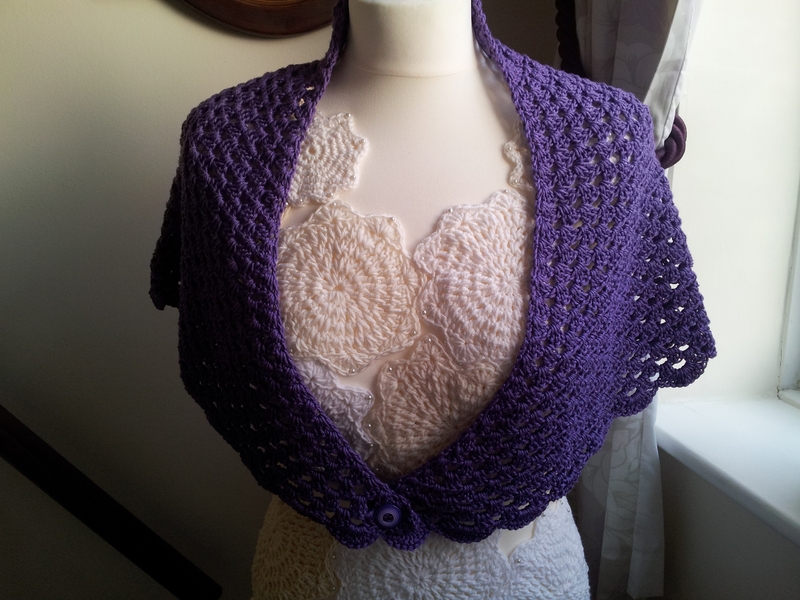 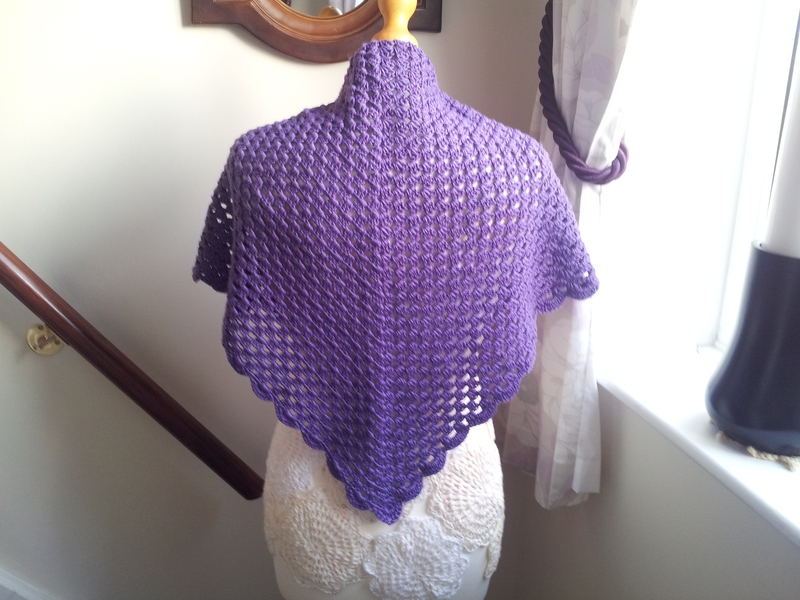 Just finished a purple granny shawl to go with my new dress. 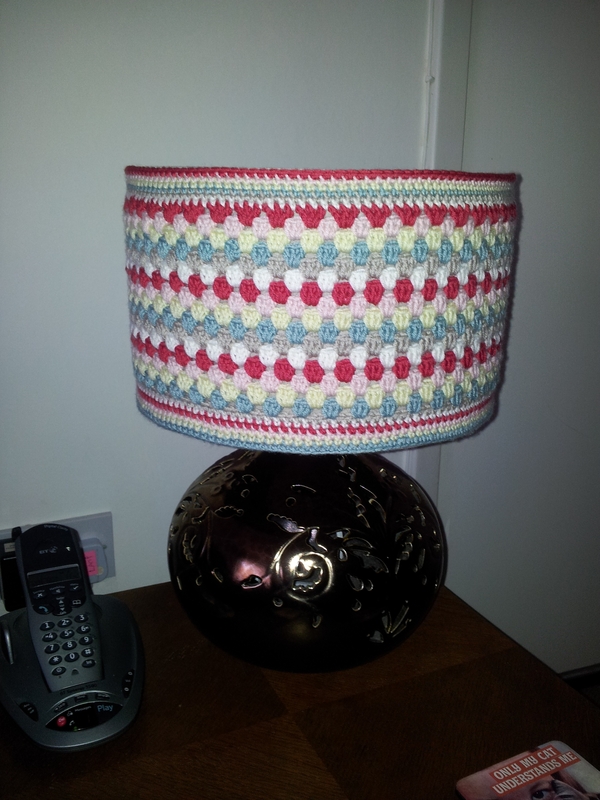 I really enjoyed this project as granny stripes are a favourite of mine. 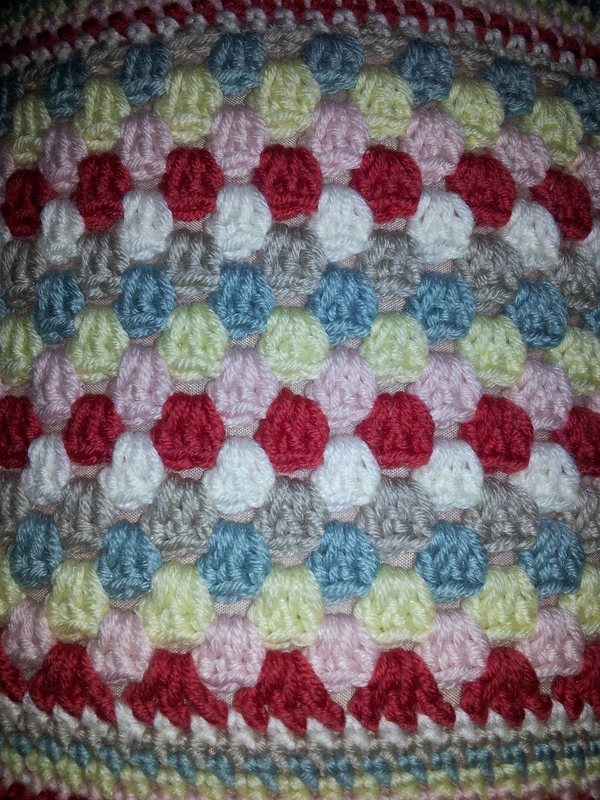 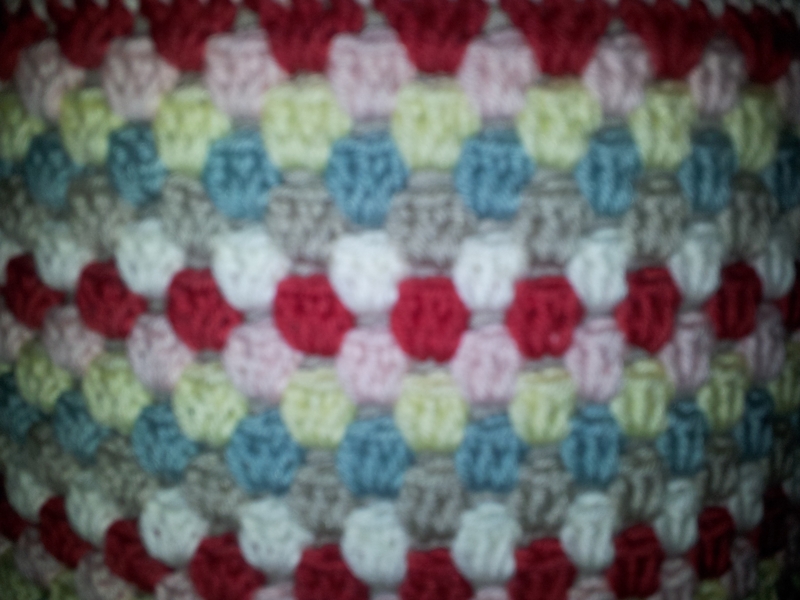 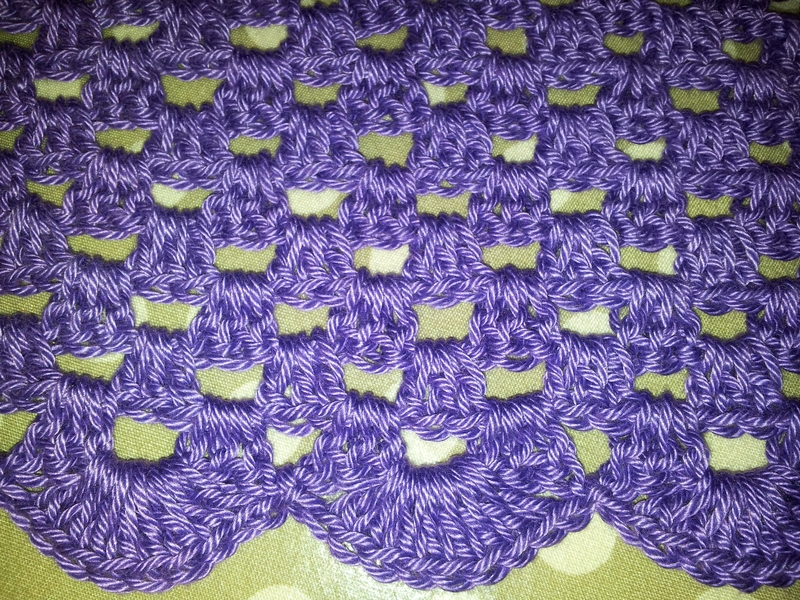 It was a project that I could pick up at any time of the day and complete a row. 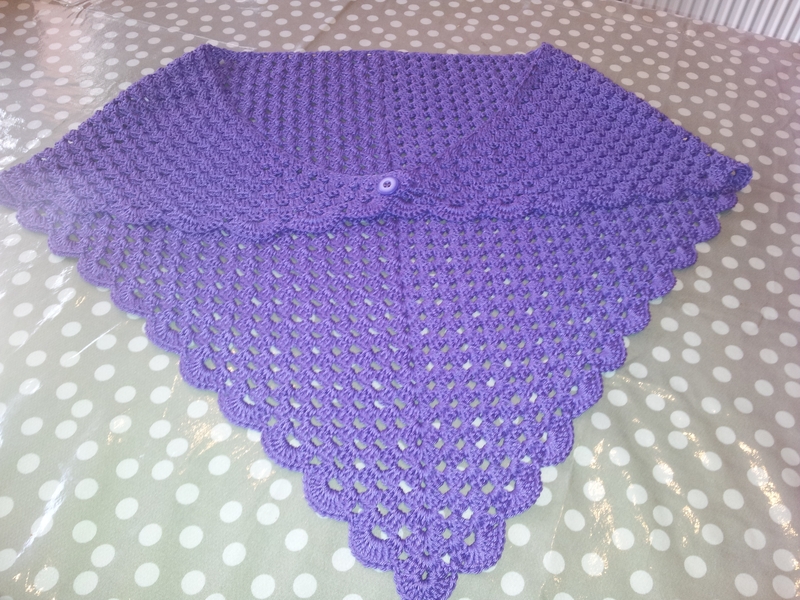 I used a size 4 mm hook and 2 balls of Patons 100% Cotton.The pattern was from Lally Lou Lou’s blog http://lallylou-lou.blogspot.co.uk/2010/06/granny-shawl-pattern.html with the addition of a shell border ( 8 treble, 1 chain, 1 single crochet, 1 chain). 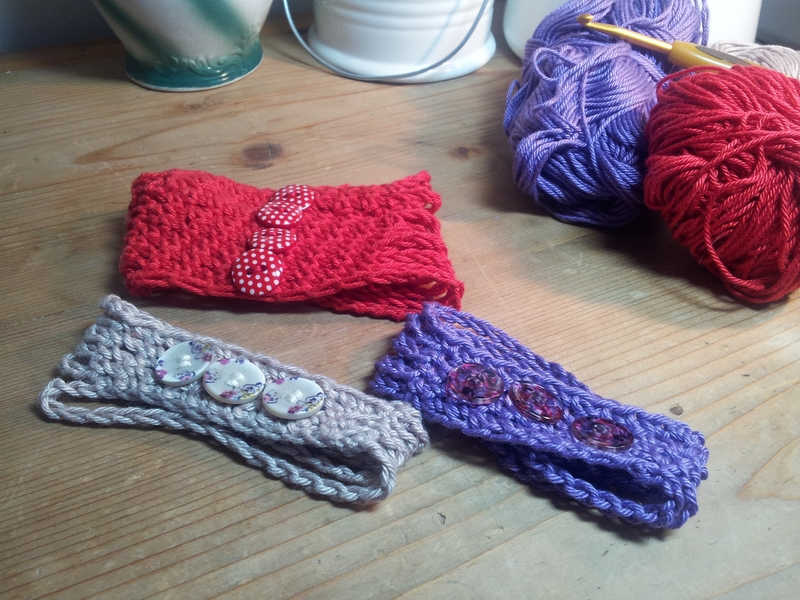 I’m totally addicted to these gorgeous bracelets. 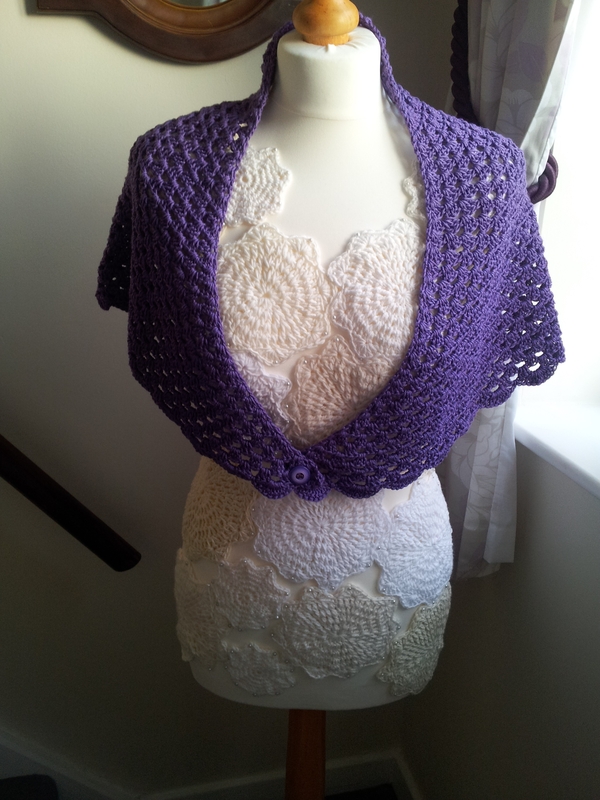 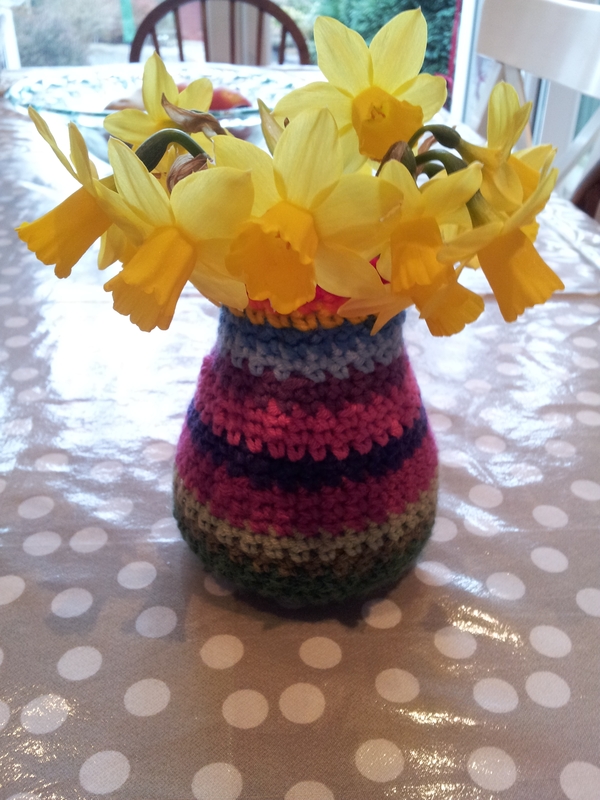 They were designed by Kirstie McLeod and published in Simply Crochet magazine (www.simplycrochetmag.com). 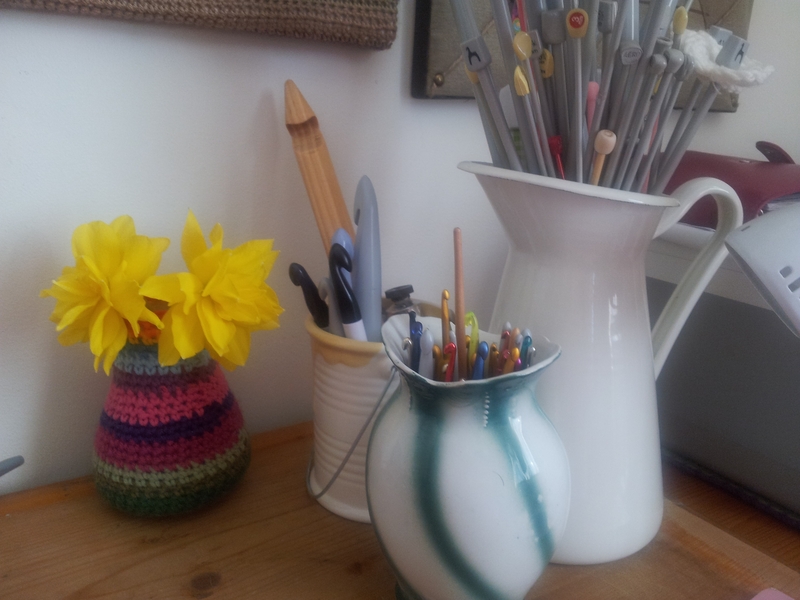 Sorry I haven’t any further details as I tend to rip the pages out when I see something I fancy making and then store for later.